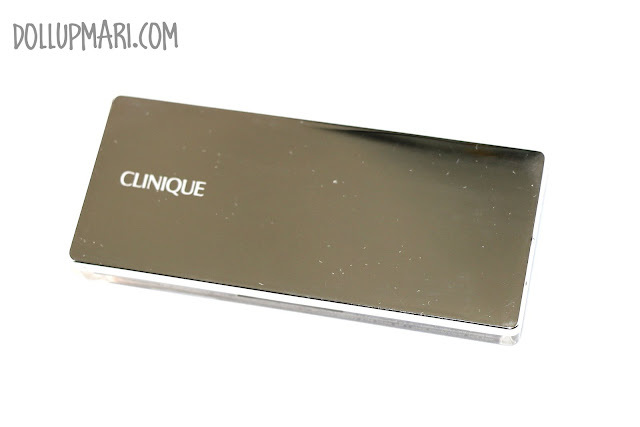 The last time I touched a Clinique eyeshadow, there was just nothing nice I could say about it. 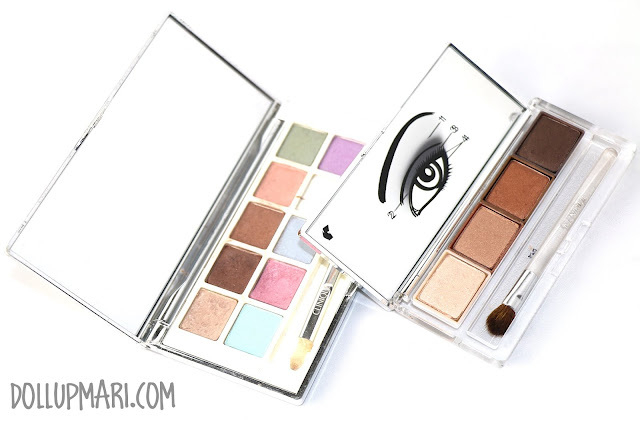 But now, with their new reformulated eyeshadows, I just have everything nice to say about these eyeshadows! This is a gift a family friend gave to my mom, and since it was just so good, I decided to put in some swatches and all. 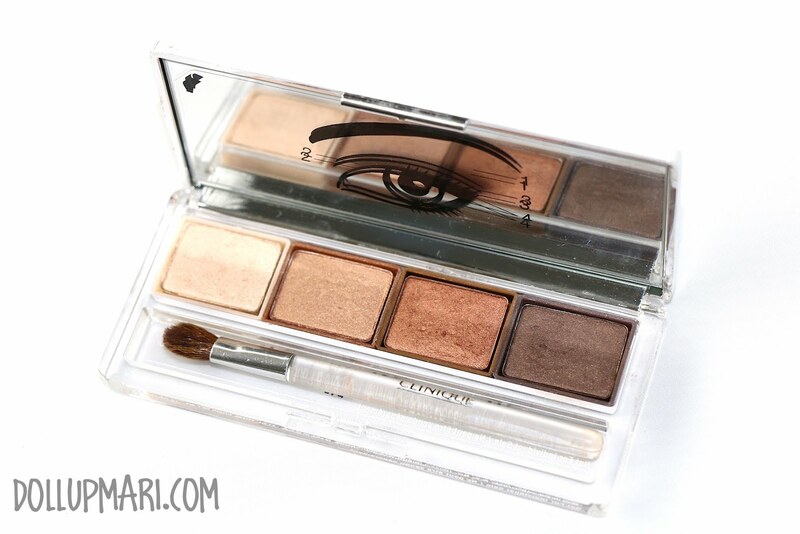 This is Clinique's All About Shadow Eyeshadow Quad in the shade of Morning Java. This is overall a really warm and bronzy palette. A palette of eye shadows in four complimentary colors that allows you to create a variety of looks, from natural to dramatic. All About Shadow Quads feature four versatile, complimentary shades to wear alone or layer together in different combinations. For dark skintones, lighter shades will impart a more dramatic look and dark shades for a more natural style. Dark shades look more dramatic on fairer skins; light ones look more natural. These powder colors are formulated to be crease and fade resistant, and are ophthalmologist tested for contact lens wearers and those with sensitive eyes. This set includes a mirrored compact with illustrated instructions plus two sponge-tip applicators. The packaging is classy and all but sooo attractive to fingerprints! I had to wipe this like three times before I took this photo! This is Daybreak, a CSSS shade. This is a creamy off white shade, great for the eyelids but probably too shiny for a highlight color as it's very pigmented. This is Gold Rush, another CSSS shade. On the pan it looks light, but when applied on the skin it looks like a shimmery warm gold color. This is a CSSS shade from the Creme Brulee trio. This is a really bronzy golden shade. This is the last shade, a CSS shade from the coffee shop duo. 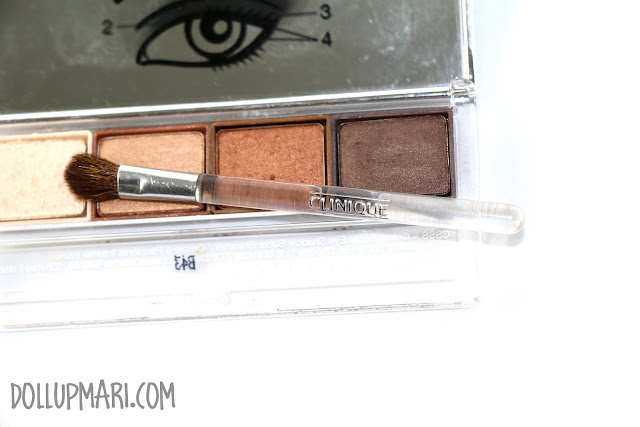 This is a chocolate brown shade with taupe undertones. And these are the swatches. I love how pigmented these colors are! They're so buttery and they apply so smoothly. They're packed with lots of color, and apply really opaquely. In terms of the color palette itself, for a quad, the color selection is already okay. At least they took a good representation of the color spectrum, with light and dark shades. Of course one cannot expect the whole rainbow on an eyeshadow quad. But this will suit a lot of skintones because the eyeshadow colors look natural but do not fade into the skin's color. I just kinda wished that the highlight shade were less shimmery so that it would be of better use on the browbone area. 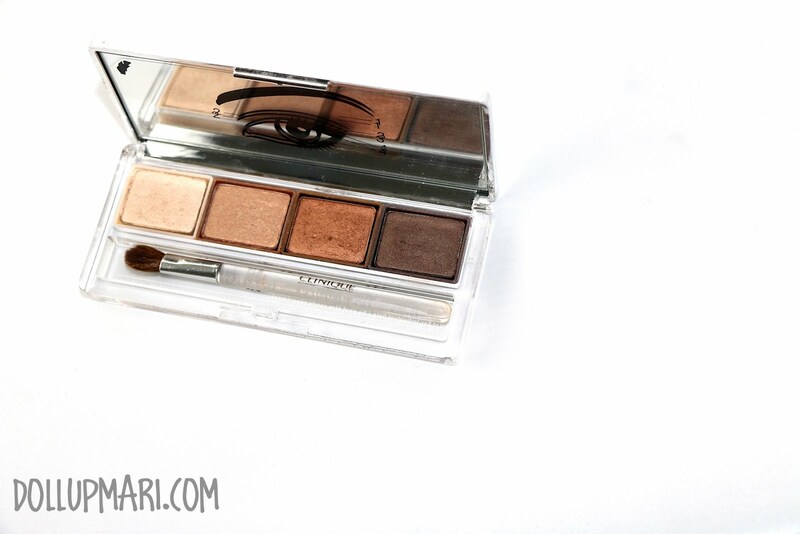 And this is the eyeshadow quad beside my mom's eyeshadow palette before. 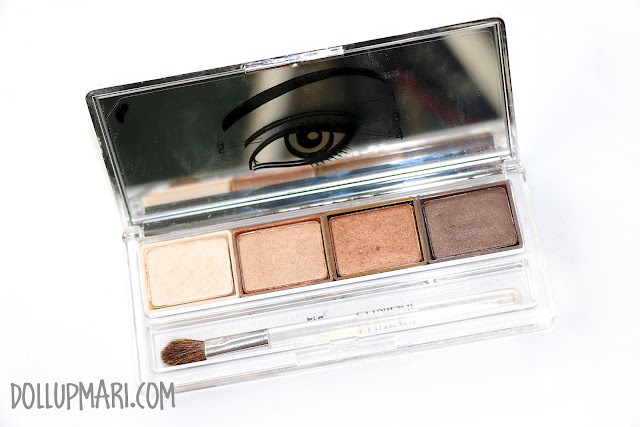 The eyeshadow palette she had before wasn't nice as it was not packed with color and just dusted up the eye area. As for the final verdict, I do find this a bit pricey for $28 (or Php1800 in stores here) given that there are many similar quuality palettes that have more shades for the same price, but I do believe that the pricey-ness is worth it given that this is a brand that is certified as fragrance free and hypoallergenic. At least, should there be clients with sensitive skin to approach me, this can be an option (though I'd want them to not have reactions to my lovely Urban Decay palettes!). And at least, it's pricey but with exceptional quality. 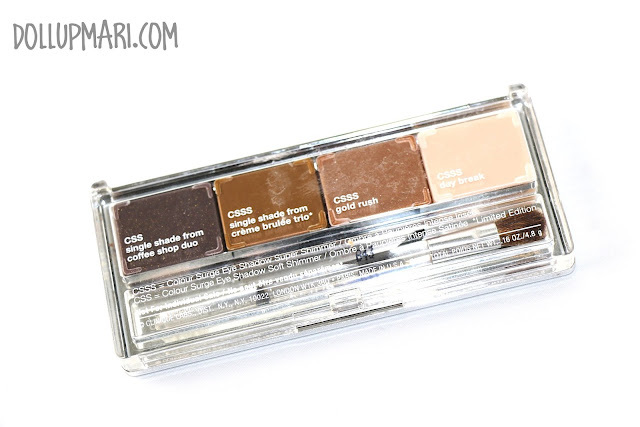 The eyeshadows were almost at par with my Urban Decay eyeshadows in terms of pigmentation and butteryness. What's your favorite Clinique product? Please do tell me in the comments box!